We have the knowledge and the “know-how” to manipulate how search results are presented to your clients when they search for your services on Search Engines, such as Google, to get your company’s digital presence to a level of high conversion performance. With OrbitWeb you get the benefit of working with a local company and a one-on-one relationship with a technologist that knows what they are doing. 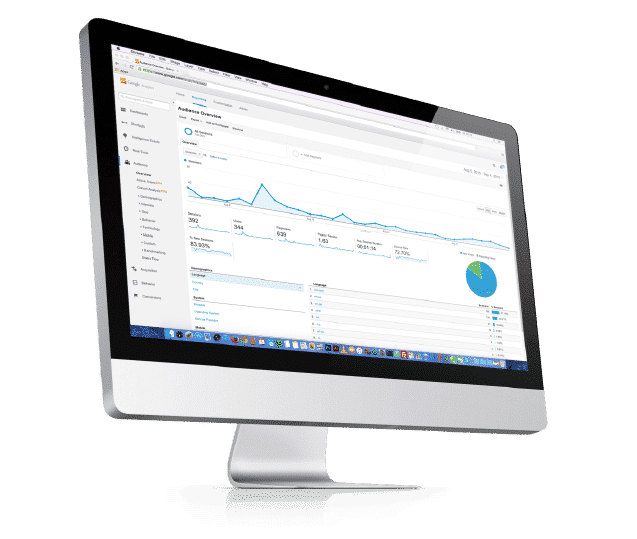 We have the highest standards when it comes to integrity, so you can feel a peace of mind having us work on your Search Engine Marketing Strategy. Most businesses choose a website because it looks nice; it might even have good functionality and impressive features. Here, our SEO experts set a solid goal for your website that allows generating qualified leads that will eventually turn into clients. Assuming that your website will generate hundreds of clients by its own is a HUGE mistake! Did you know that even though you have a good looking website, you still need to make some extra work to allow people to find you when they look for your products or services on search engines? The right SEO strategy is crucial to transforming your website into a lead generator machine. How are you supposed to generate traffic on your website? We built custom websites and landing pages for your particular goals and objectives. We have a whole team of experts, including Copy Writers, Graphic Designers, and developers experts in SEO that will perform all the work for you. A website is neither a business card nor a salesman whose available 24/7 unless you do something about it! Stop losing money with a website that nobody visits. Get ahead of the game and hire an expert team to help you with Search Engine Optimization.